It is easy to neglect the fact that our Celtics players have lives away from the hardwood, and very often those private lives have a level of hardness to them as well. 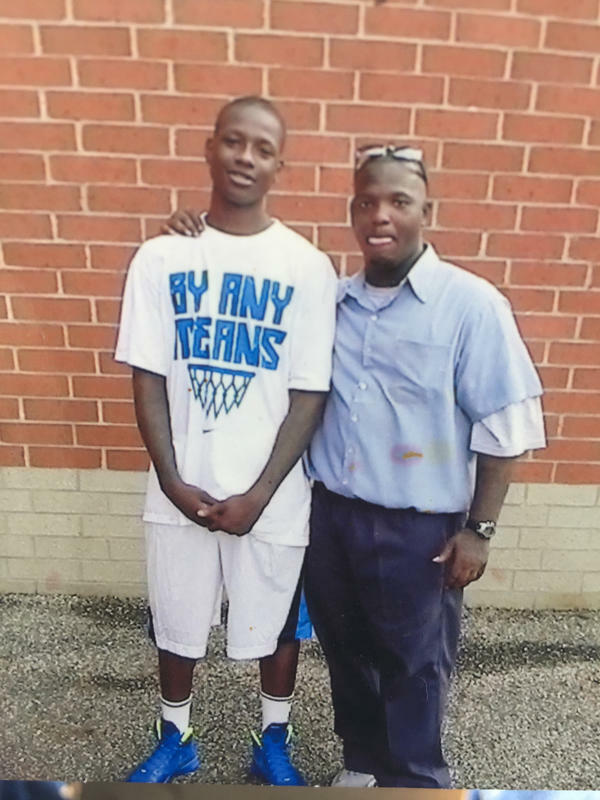 Terry Rozier, Sr. got out of prison this past summer after spending 15 years behind bars. It seems that Terry Rozier III will be instrumental in his dad's transition back into society. But the experience was horribly conflicted. Terry Sr. was 18 when he was sent away for eight years for felonious assault. As Little Terry once said, his father was there to hold him when he was born. When Terry Sr. got out his son was 8, and despite the reservations of Gina and her mother, Amana Tucker, Little Terry was allowed to move in with his father for the summer in Youngstown. Terry Sr. and three other men attempted to hold up someone on the sidewalk — “a dude,” as Terry Sr. remembers him. A cousin named Latrell Jackson fired a gun errantly, killing another member of the group, William Lee. I will veer off from what a reader would normally expect here. It is apparent that the elder Rozier has not been anything close to a model citizen, but his son, T-Ro, has been just that as a Boston Celtic. Little Terry has proven to be tough as nails in the ways that matter. He works hard to keep improving - doesn't back down to anyone - and is a true Celtic of high character. “It’s my father, just happy he gets another chance at life, and that he knows I’m here for him,” he (T-Ro) said. “It’s not like you’re out of jail and I’m going to put a million dollars in your hands or anything like that, but I’m happy he’s here and I want that relationship back. Despite the evil I have seen in 20 years of police work, there is some good in every person. I chose one young man as one of my Police Athletic League basketball coaches because I liked him, and he had endured some brutal acts by his father - such as holding his son's hand in a gas flame as punishment for real or perceived mischief. Several years later, I was called from a gathering to take his voluntary confession to me, and me only, of his savage attack on an old man - as I learned later, the victim may have died from the beating. After endless years in prison, my former PAL coach was released and became a fine citizen until his too-early death a few years ago.